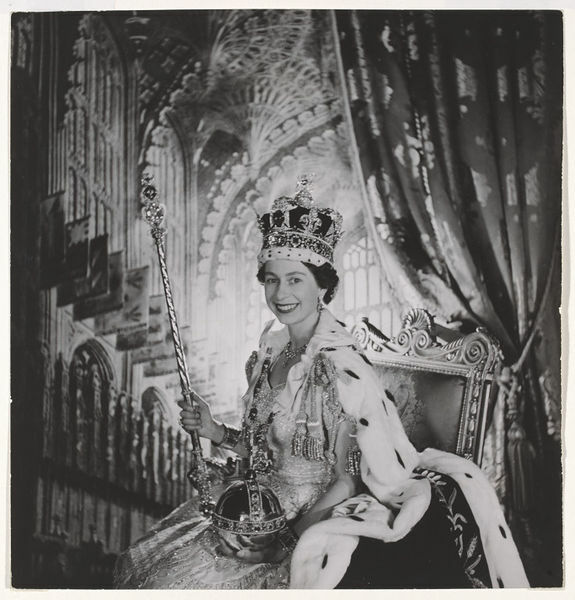 Royal Portrait by Cecil Beaton (1904-1980). Photograph depicting Queen Elizabeth II, on Coronation day, Buckingham Palace, 1953. Cecil Beaton photographed members of the royal family from 1930-1979. 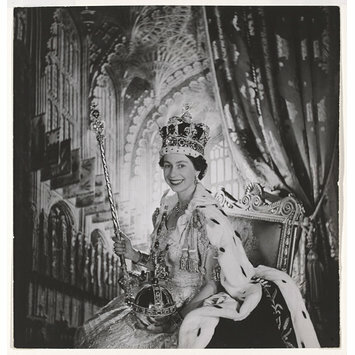 On Coronation Day in 1953, Beaton took photographs at Buckingham Palace, following the ceremony at Westminster Abbey.